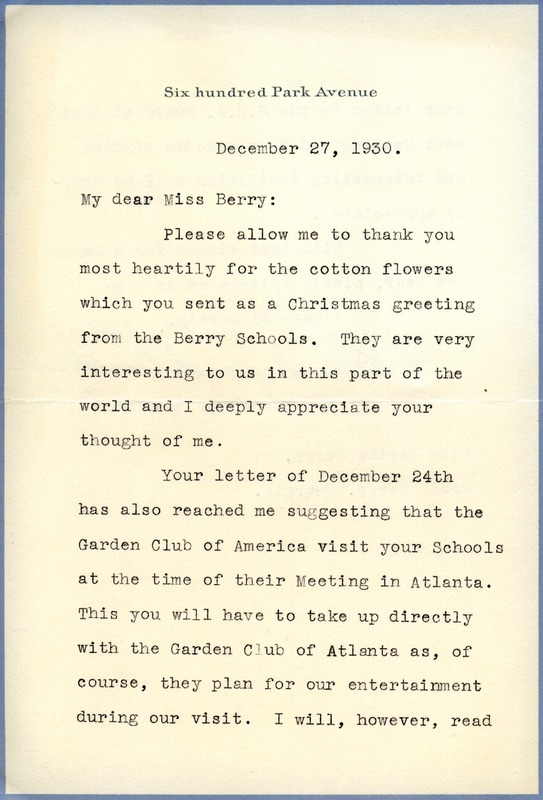 Sarah Tod Bulkley writes to thank Martha Berry for the Christmas "cotton flowers" and to say that she will read Berry's letter inviting the Garden Club of America to visit Berry at the club's next board meeting. Sarah Tod Bulkley, “Letter to Martha Berry from Sarah Tod Bulkley.” Martha Berry Digital Archive. Eds. Schlitz, Stephanie A., Sherre Harrington, Chelsea Risley, et al. 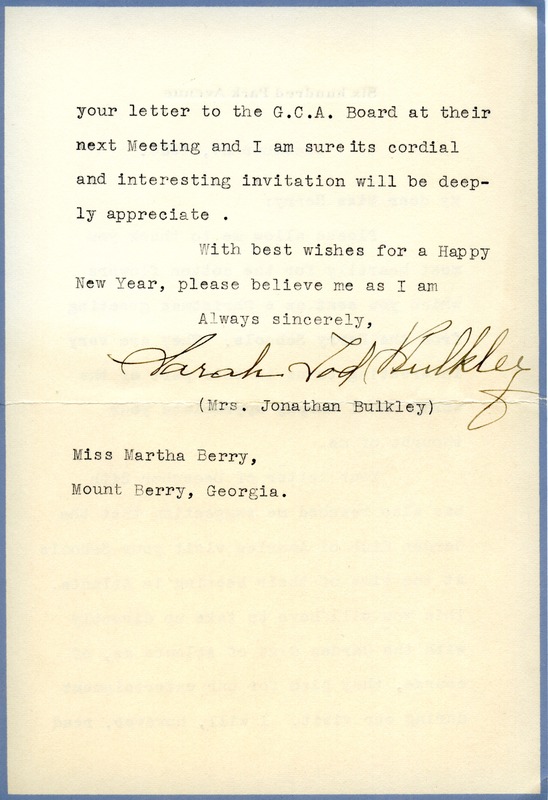 Mount Berry: Berry College, 2013. accessed April 25, 2019, https://mbda.berry.edu/items/show/11928.